In 2003, the formation WOLFCHANT was founded in St. Oswald/ Lower Bavaria (Ger.) by the members Lokhi (voc. ), Gaahnt (bass), Skaahl (lead guit.) and Norgahd (drums).The band emanated from diverse extreme metal bands, which were left by the members, to advance their individual musical development. On the first demo "The Fangs Of The Southern Death", which was published in 2004, music style was a mixture of gruffy melodic death and dark metal. But in the same year, the band produced another demo called "The Herjan Trilogy" which was the cornerstone for the new style of WOLFCHANT. Henceforth, songwriting has been pushed on a high melodic and hymnic level with a broad spectrum of mood and temper. Due to the very positive feedback on the existing material, WOLFCHANT restarted working on new songs more enthusiastic than ever to finalize times of just making demos. In 2005 the line up was completed with Derrmorh (rh.guit). Heavily laden with new songs they participated different samplers, which attracted attention of diverse record labels who were aiming for partnership. Finally, the deal was arranged with the label CCP Records. Together they are working on the growing success of WOLFCHANT. 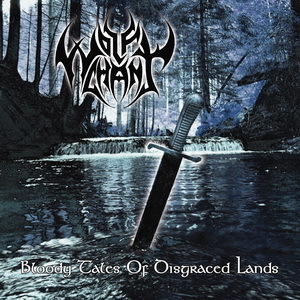 Thus, CCP Records published WOLFCHANT's self-produced debut "Bloody Tales Of Disgraced Lands" in November 2005. Most of the album's reviews were very positive and a large listenership was adressed. That was followed by numerous and different achievements, e.g. a placement in the "Legacy" magazine's reader charts! Now, the debut is followed by another, even harder and more aggressive blasting long player called "A Pagan Storm". But they still keep their true and incomparable style without repeating themselves- i.a. a result of leaving out keyboards- which are commonly used in this genre- and setting new priorities in celebrating their music. 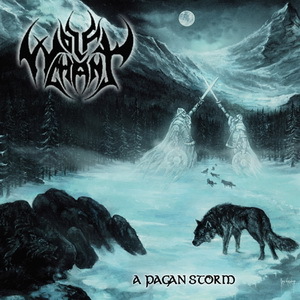 Although "A Pagan Storm" has a more aggressive style it doesn't lack graceful acoustic passages and also traditional instruments like flute, mouth harp and accordion are used to put emphasis on different parts. Most texts on the albums talk about nature, but it was also very important for the band to pick up legends about the nordic mythology which is a very central topic on every song idea. With their substantial arranged concept WOLFCHANT surely will convince the pagan, viking and heathen listenership and truely, follow their path consequently. This hopeful formation of entire heart feels very close to the extensive green forests and picturesque mountains of its Bavarian homeland.On musically plain such passions can be enjoyed probably with vigorous Heathen Metal, which abounds with pure energetic sound power. This quintet, established in the year 2003, plays therefore highly melodic and marvellous hymn epic Pagan Metal with far expanded spectrum of moods and grim masculine vocal lines. CCP Records publish now the new debut-concept-album „Bloody Tales Of Disgraced Lands“ of these five nether-Bavarian admirers of nature. Various themes out of the Black- and Viking metal scene meets diverse sagas and legends out of the old Nordic mythology. And the lyrical plain is in Wolfchant through and through filled with heathenish idealism and mourn for the good ancient times. Numerous charming as sensitive acoustic guitar arrangements serving that very strong minded drink-horn-troop as perceptive possibility, to awake thrilling ancient atmospheres. With enchanting melodies, catchy refrains and high energically played instruments Wolfchant will confince the Pagan-, Viking- and Heathen Metal audience.